Can be combined with Might and Magic: Clouds of Xeen to form Might and Magic: World of Xeen. Manual lookup copy protection. Use DOSBox. Bundled with games 1-6. Pre-packaged with DOSBox. The floppy version needs the manual to answer copy protection questions (see keys_3_5.pdf for GOG.com). 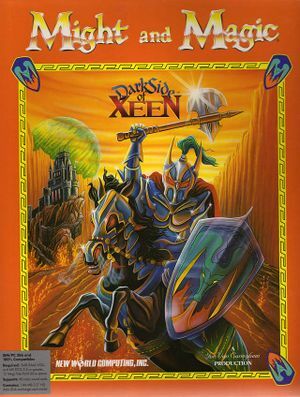 For information on combining with Might and Magic: Clouds of Xeen see Might and Magic: World of Xeen. Set in Graphic Mode Setup (GOG.com) or toggle with Alt+↵ Enter. Cutscenes only have subtitles if speech is disabled in the installer. This page was last edited on 18 April 2019, at 09:54.